There is a lot to know about the world of cannabis-infused beverages, and the legal implications in a changing regulatory environment don’t make it any easier to keep up. Here’s a high-level look at how cannabis and beverages are coming together, and what to watch for as the market develops. Cannabis, Hemp, Marijuana…What’s the Difference? To understand the variation in products and ingredients and how they can be sold and marketed in different states and countries, it’s important to clarify the terminology. 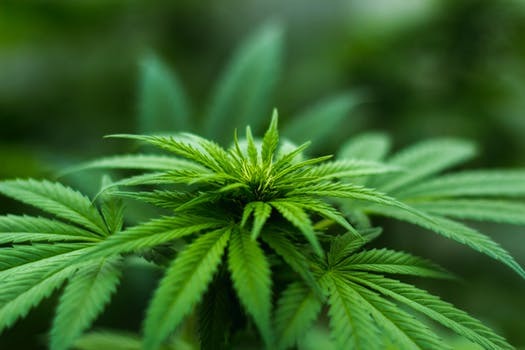 Many people may think that the words, cannabis, hemp, and marijuana are interchangeable; but hemp and marijuana are two separate plants within the cannabis family. The plants look different and require different growing conditions, but the most significant difference between the two is in the chemical compounds or cannabinoids they contain. The cannabis plant consists of a wide variety of chemicals and compounds (cannabinoids). Cannabis (marijuana) contains high levels of tetrahydrocannabinol (THC), the cannabinoid most known for its psychoactive properties. Hemp, on the other hand, has only trace amounts of THC, but more substantial quantities of Cannabidiol (CBD), a non-psychoactive cannabis compound that can actually counteract the psychoactivity of THC. Terpenes are the organic hydrocarbons responsible for the aroma of cannabis. Determining what’s legal and illegal when it comes to making, selling, and consuming cannabis is a difficult task, and the rules change as new laws are passed. CBD derived from marijuana is federally illegal, but legal in states that have passed medical or adult use reform laws. CBD hemp oil derived from industrial hemp that is grown following the U.S. Farm Act, or that is made from natural parts of legally imported hemp, is treated as a dietary supplement in the U.S. and therefore federally legal to buy. However, hemp is still under the Controlled Substances Act in the U.S., meaning that hemp growers or researchers need to obtain a permit from the U.S. Drug Enforcement Administration (DEA). Although this seems straightforward at first, it’s easy to see where things can get confusing. For example, companies who are considering using CBD or terpenes in beverages intended for states with different laws need to understand if those terpenes are derived from hemp or marijuana, if the hemp was legally grown or imported, and what that means for sale and distribution federally, and in each state. Medical and recreational cannabis sales are predicted to hit $11.7 billion this year and grow $25 billion in seven years. Compare that to the $38 billion in U.S. beer sales last year, and you can understand why both established beverage companies and beverage entrepreneurs are taking a closer look at methods and formulas for infusing CBD and THC into beverages. You can watch the innovation unfolding as CBD-infused products like CBD Living Water, Two Flowers IPA , SteepFuze CBD Coffee, and Cannawine and THC products like Strawberry Lemonade Cannabis Quencher , Legal Sparkling Tonic, and Sprig Soda, hit the market and find their fans. Only a few producers have created beverages infused with THC for sales within states that have legalized cannabis and most, if not all, of those are non-alcoholic. But more and more companies are exploring CBD-infused alcoholic beverages with the intention of selling them across state lines. The Alcohol and Tobacco Tax and Trade Bureau (TTB) has outlined the requirements for processing domestic hemp products, whose formulation and process must be approved, along with the label before it can be sold. Generally, once a brewer gets a formula and label approved, it will be permitted to sell across state lines pursuant to local laws. Getting approval will be the key to avoiding the risk of receiving a cease-and-desist letter like the one that Invasive Species Brewing received recently after launching craft beer infused with cannabis terpenes oil. It is tempting to jump in on the cannabis beverage trend, but there are unique and dynamic challenges that come along with developing a sustainable and profitable CBD beverage. Having a comprehensive operational plan and the right support to execute and adjust when needed are vital elements to every beverage’s success.